There is no doubt that OnePlus 5T is a very worthwhile phone to buy. But before buying it, we have a question: how does it workmanship? 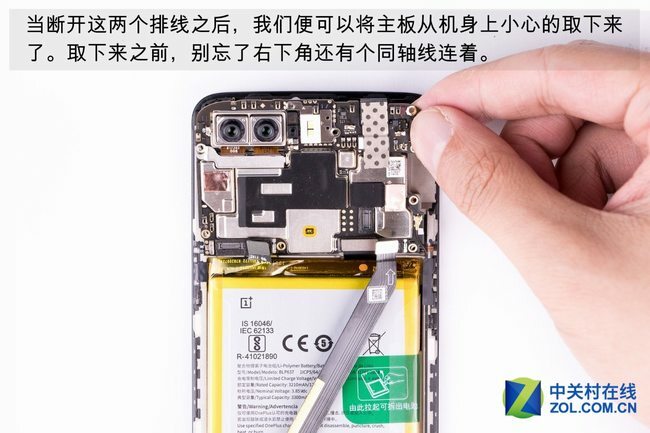 Here we disassemble a Oneplus 5T to explore its internal structure and workmanship. 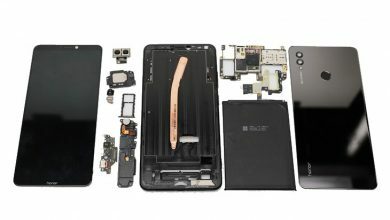 We also disassembled the OnePlus 5T and OnePlus 5. 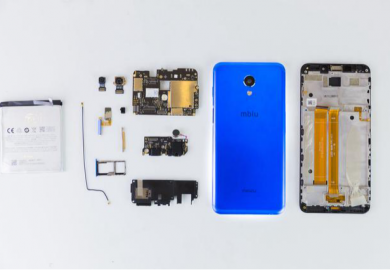 Please click the link to access its teardown. First of all, remove the SIM card tray. 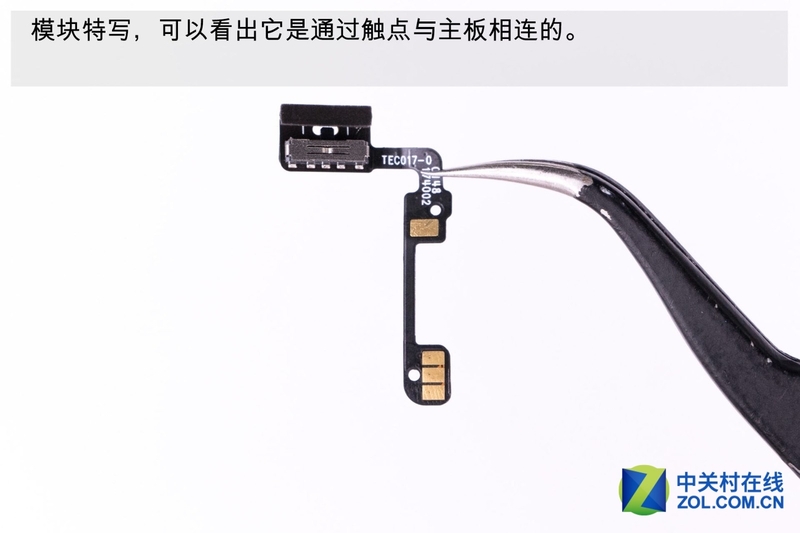 It supports dual card dual standby. No rubber seal ring is found on the top of SIM card. 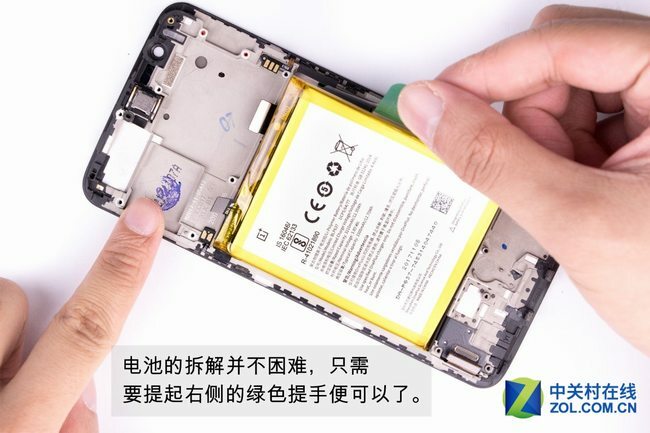 After all, it is not a waterproof cell phone, but after dismantling, you will find it has excellent sealing performance. 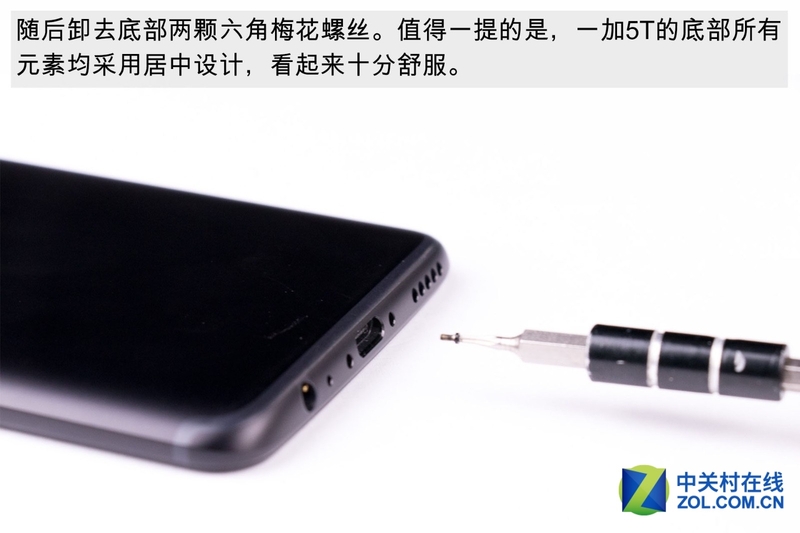 Remove two screws close to the USB Type-C port. 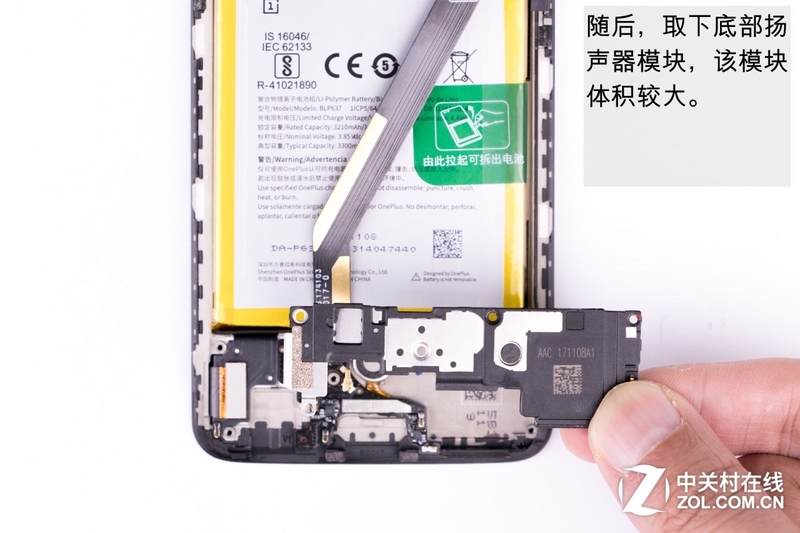 Insert a pick under the display assembly and slide the pick to unlock the snaps. 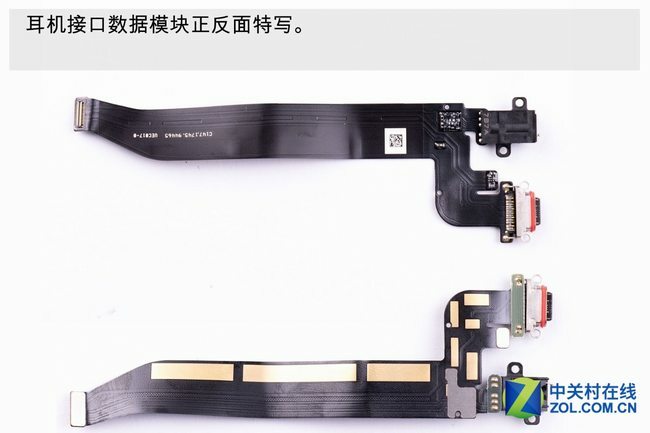 At this point, you can’t remove the back cover, because the fingerprint cable and the USB Type-C port cable are still connected to the main board. 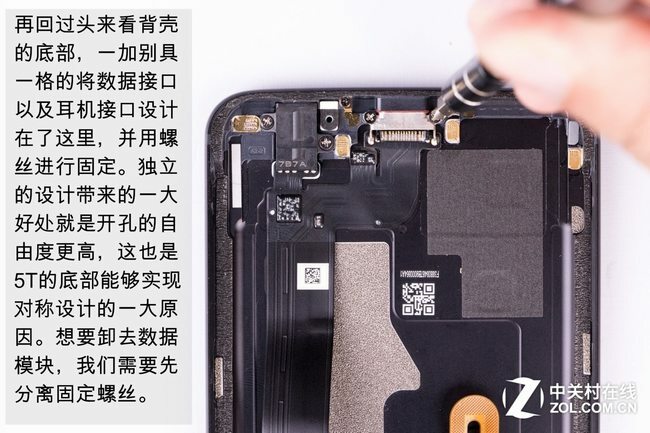 Remove one screw securing the metal plate. 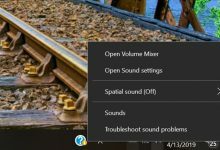 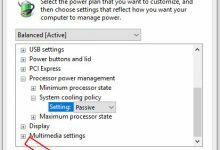 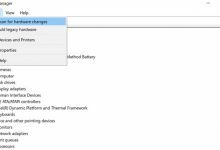 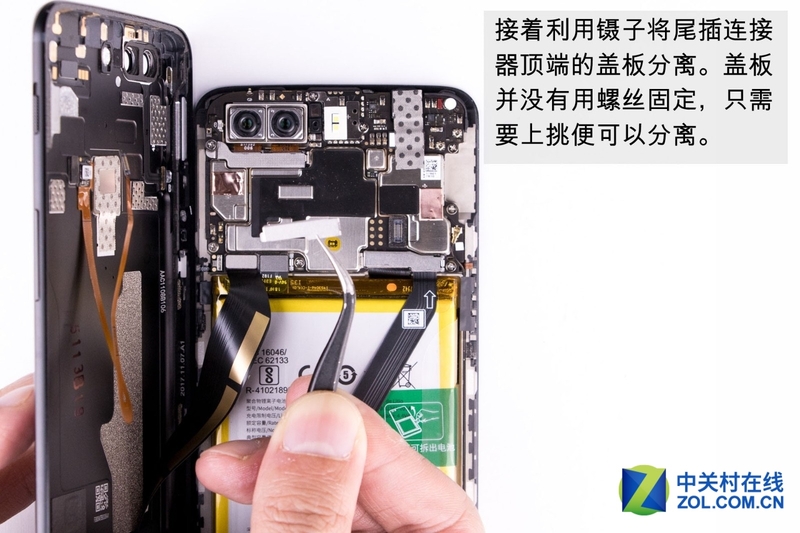 Disconnect the battery connector and USB Type-C port cable from the motherboard. As you can see, there is a ring of sealed foam inside the back cover, in addition to providing sealing performance, but also to prevent the back cover shaking. The corners of the back cover are not thickened, the surface of the antenna is plated with gold to improve the service life and increase the stability of the signal receiving. 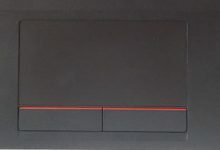 The fuselage still uses a classic three-stage layout, and the structure is very compact. 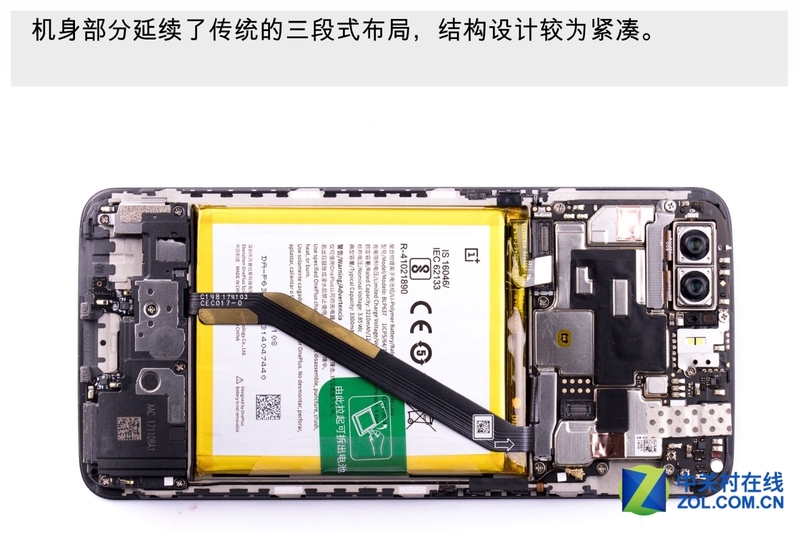 As with Oneplus 5, its USB Type-C module is still secured to the back cover, remove it by removing four screws. You can see that this module also integrates a headphone jack, a rubber seal on the USB port, and the exposed circuit is also dispensing. The headphone jack also has a black rubber seal. 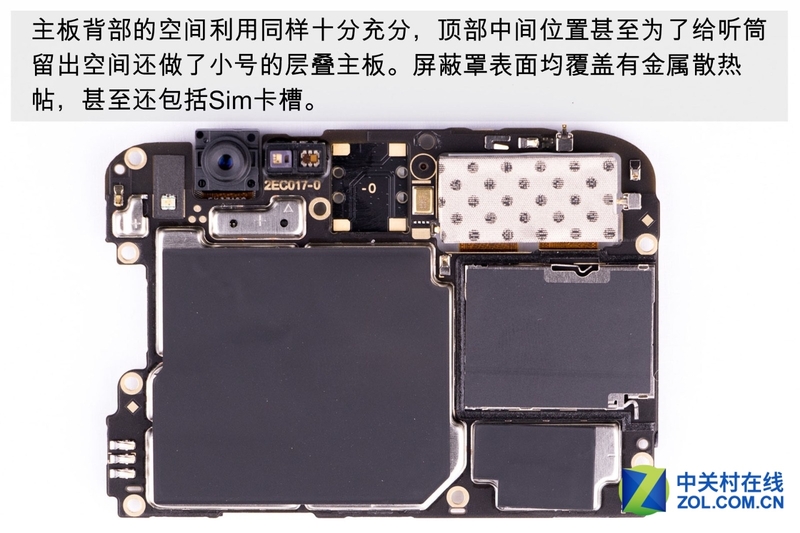 There is also a module on the back cover, which is fixed by two screws. 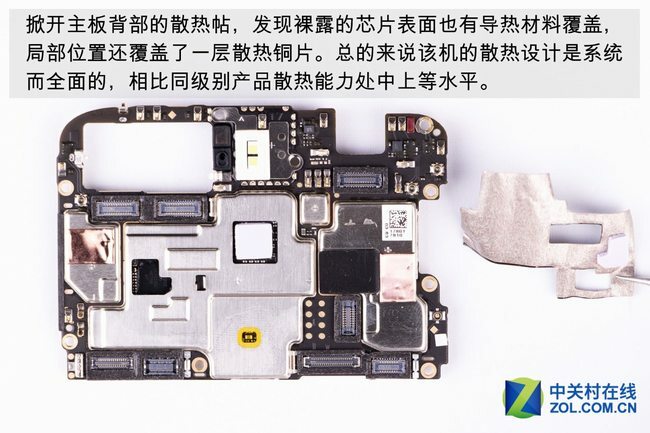 Remove all screws securing the motherboard. 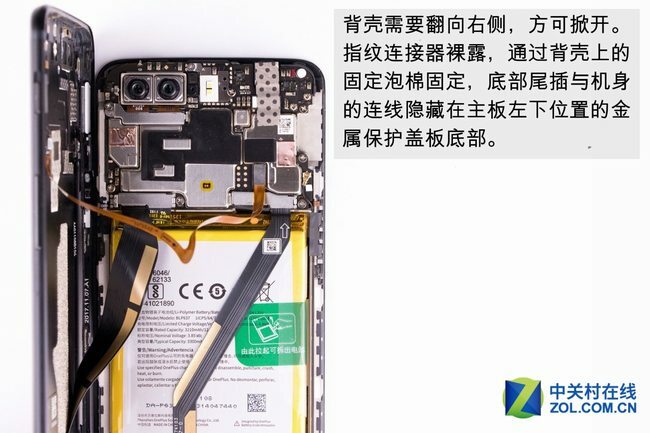 Disconnect the RF antenna and main FPC. 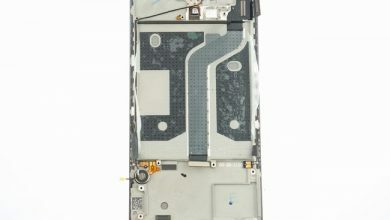 The metal shield on the front of the motherboard is covered with graphite thermal stickers. 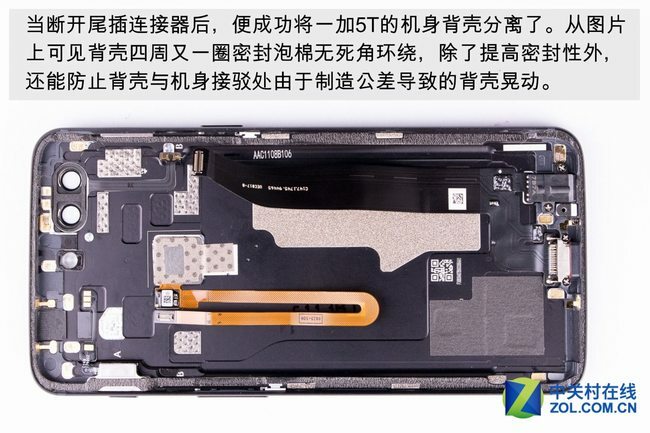 The metal shields on the back of the motherboard are also covering with graphite thermal stickers, including the SIM slot. 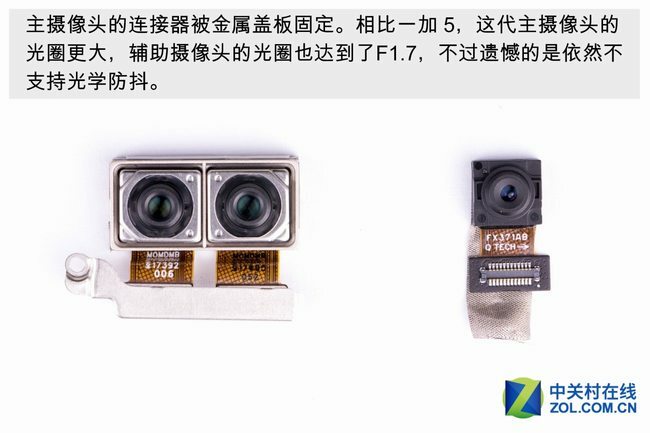 Compared to Oneplus 5, its main camera aperture reached F/1.7, but unfortunately, it still does not support optical image stabilization. Uncover the graphite thermal stickers, you can see, the main chips are covered with thermal grease. 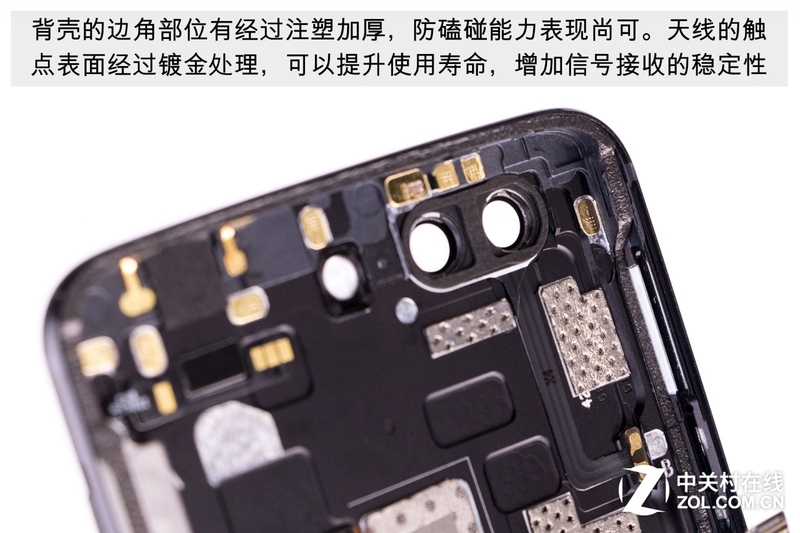 Its ROM and RAM chips are from Samsung. Uncover the graphite thermal stickers on the back of the motherboard. 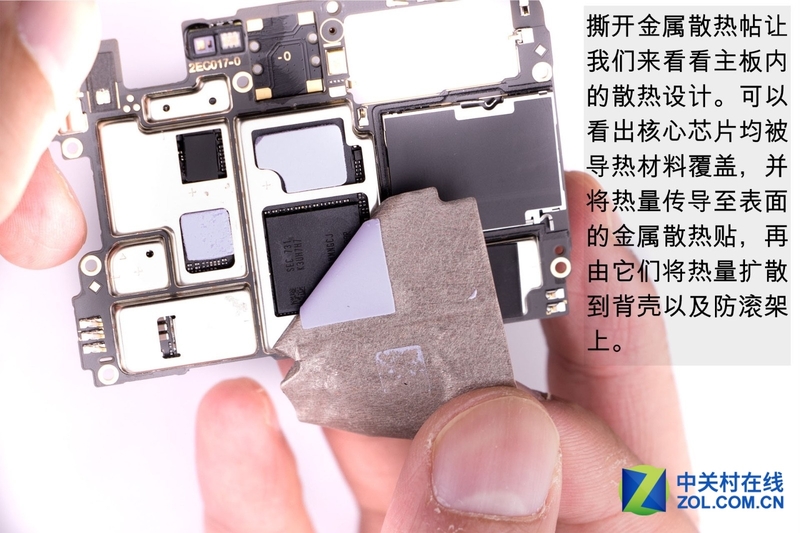 We found that the bare chip is also covered with thermal grease, some metal shield is also covered with a layer of thermal copper. 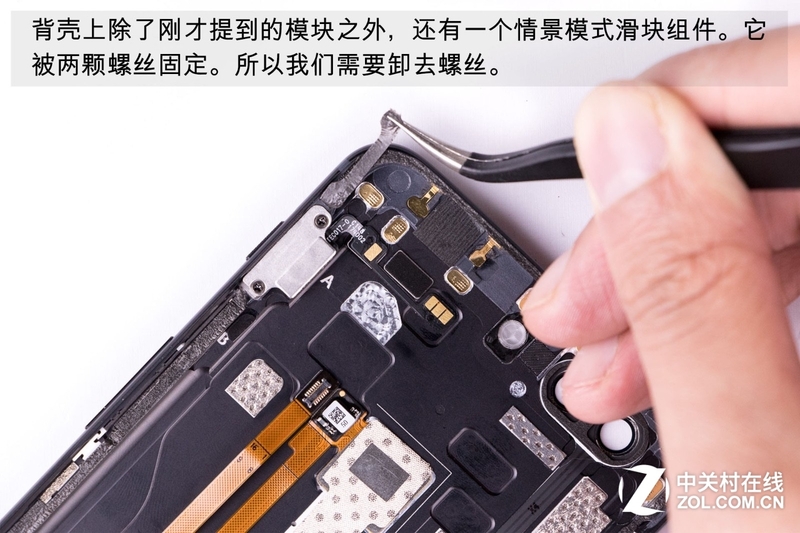 Remove the screw securing the loudspeaker and remove the loudspeaker. 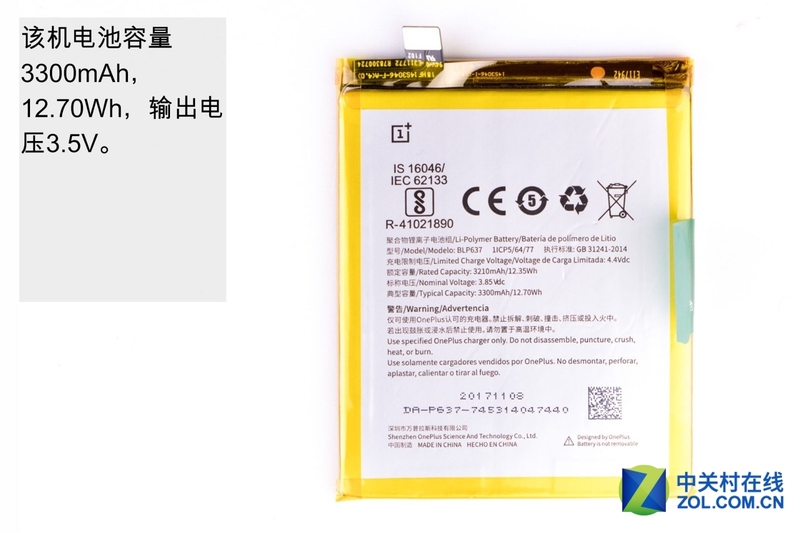 The loudspeaker comes from AAC with a part number of 171108A1. Disconnect the display cable, FPC and coaxial cable. 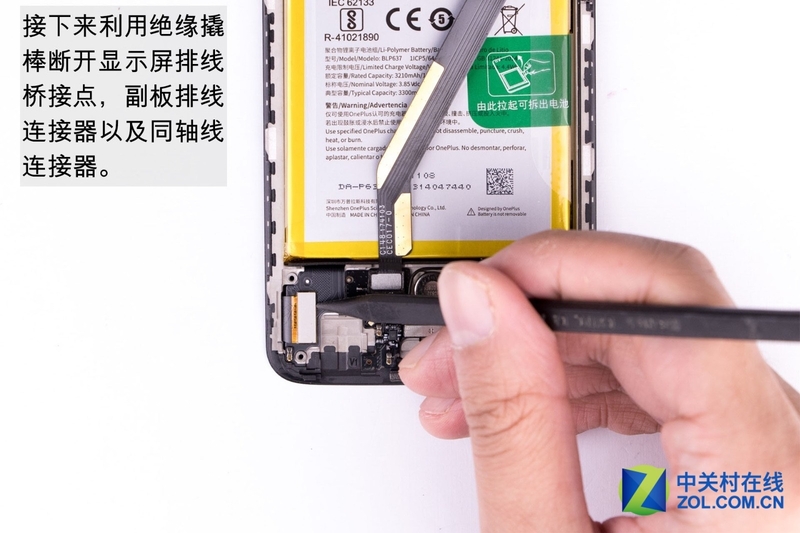 Lift up the green tab can easily remove the battery. It comes with a 3.5V, 3300mAh, 12.70Wh Li-polymer battery. 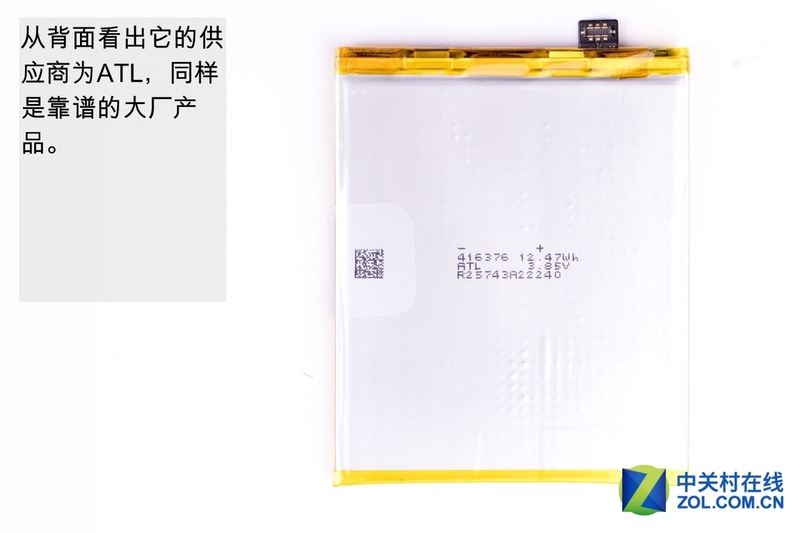 As you can see from the back of the battery, its battery cell comes from ATL. 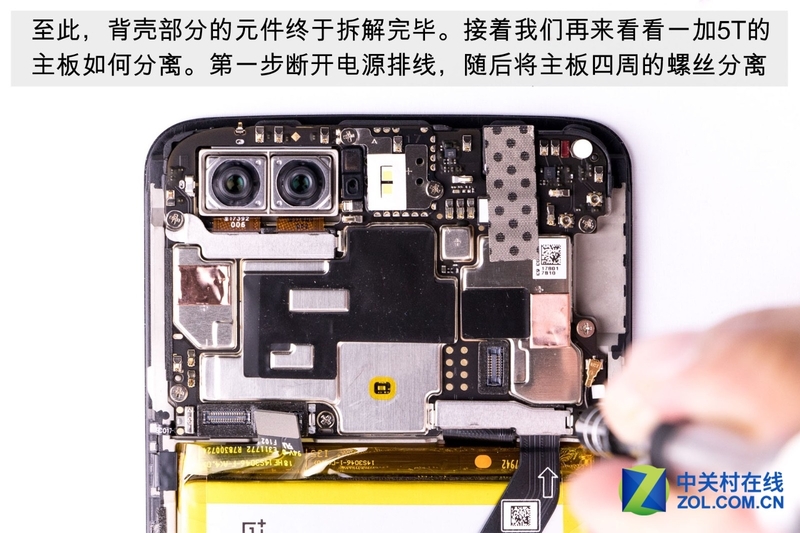 What leaves me the deepest impression on the OnePlus 5T’s internal design is its excellent dustproof and water-resistant capabilities. 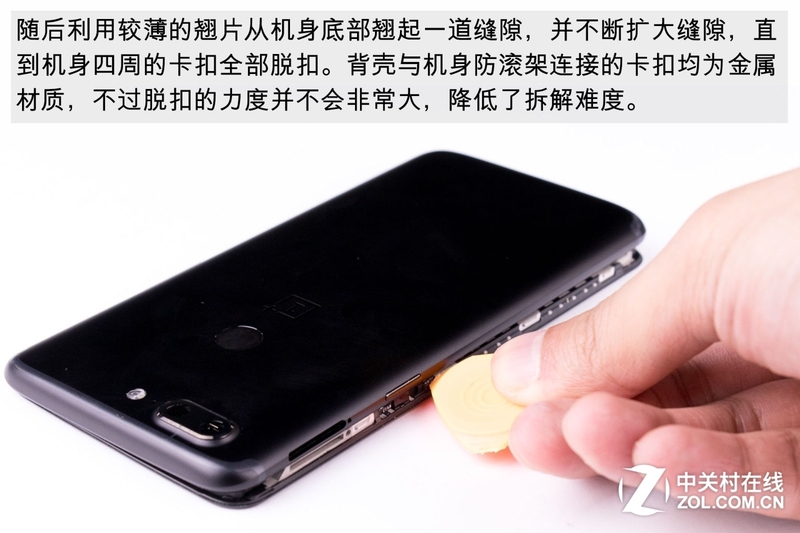 It hasn’t stressed its water resistant capability in its introduction. The phone actually has better water resistant capability than those which emphasize publically their good water-resistant capability. 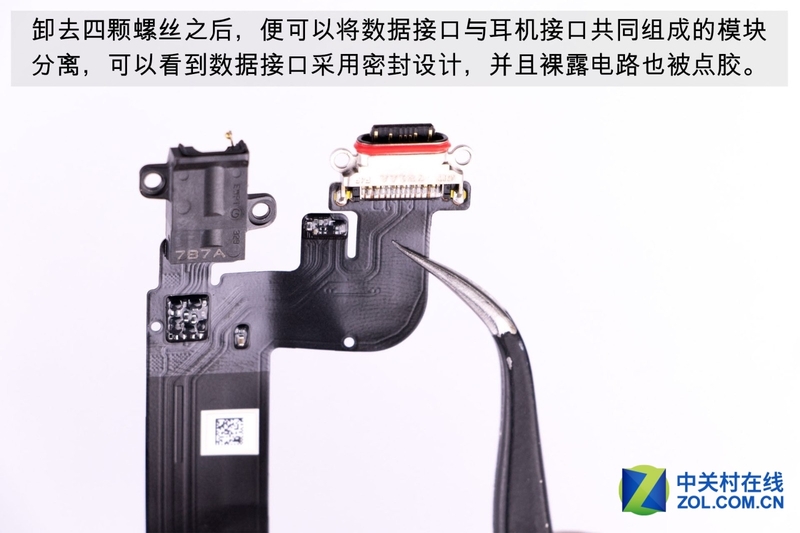 Nearly all bare circuits have been covered with glue, and the parts around the connectors are firmly sealed. Most components with ports are designed with a rubber seal. Therefore, I think that the OnePlus 5T can be immersed in the water for a short time and it can still work well. 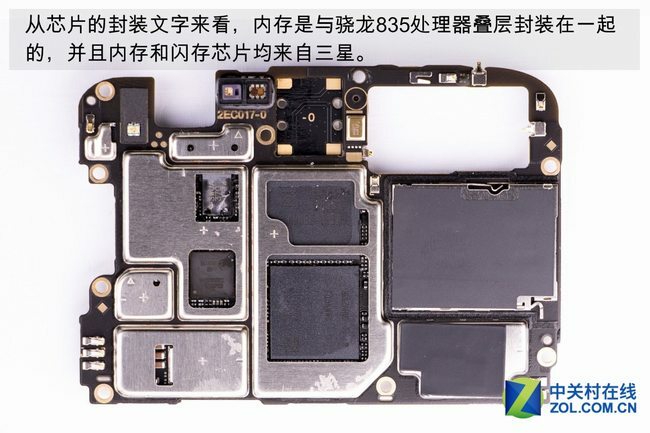 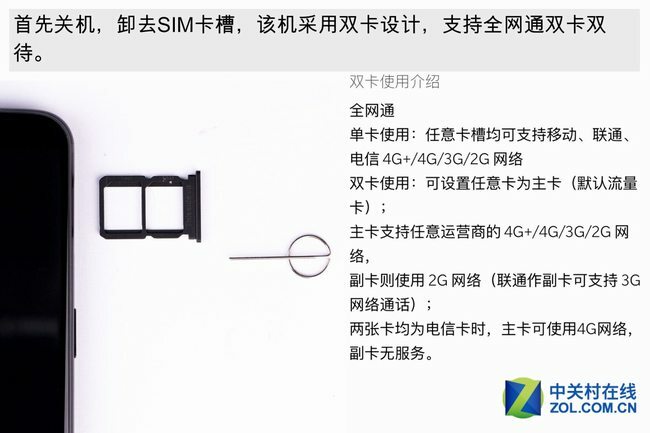 The phone’s body hasn’t been sealed by good glue, and no seal is found in SIM card tray. That’s the OnePlus 5T’s deficiency in water-resistant aspect compared with real water resistant smartphones. The OnePlus 5T’s motherboard has high integration level, although not the top-level. 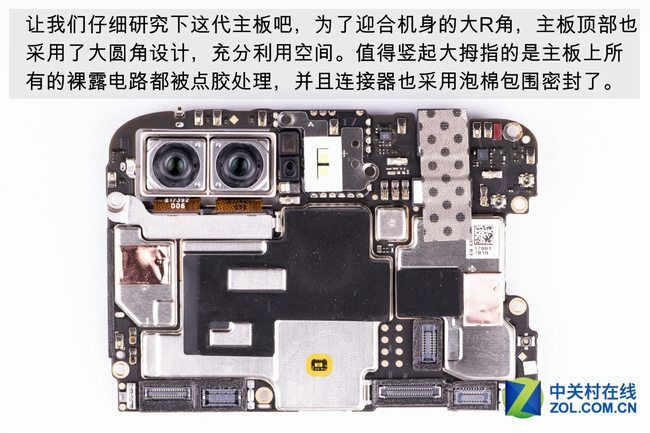 The smartphone has a good thermal design. Lots of conductive thermal grease, cooling copper sheets and graphite thermal stickers have been applied. 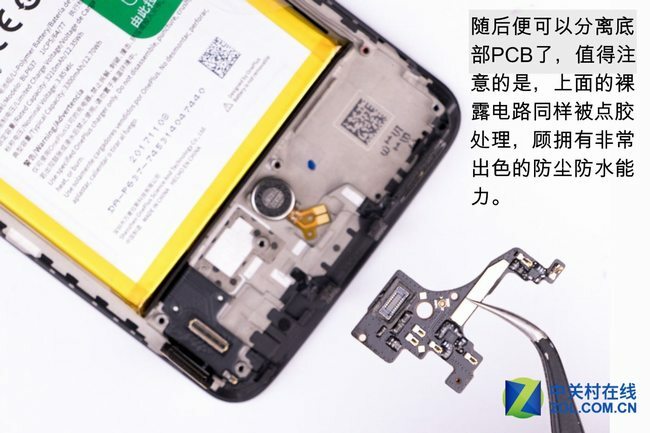 The fingerprint reader module’s connectors have been fixed by back case, and the front camera’s connectors have been fixed by the conductive sticker. 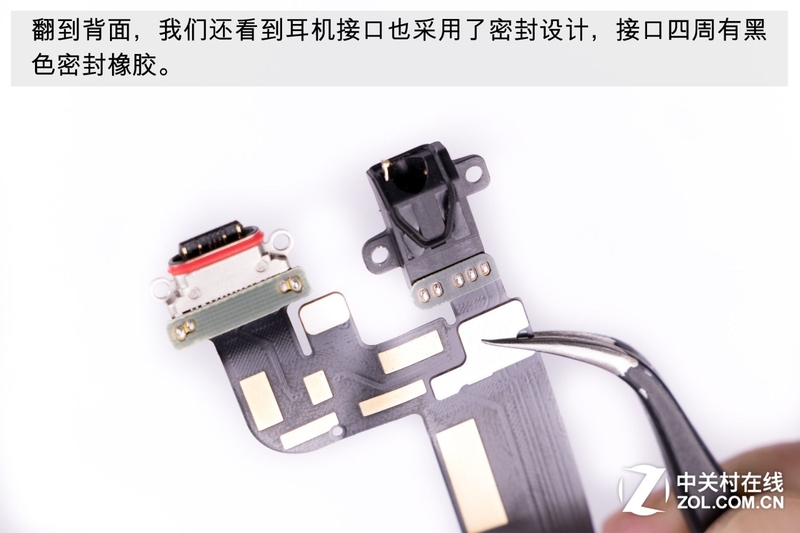 Other connectors are fixed by the metal plate. 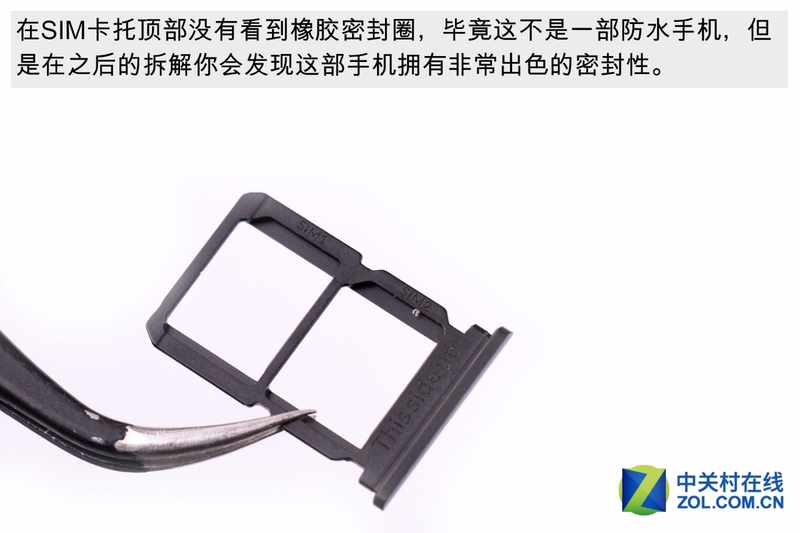 Such design can effectively prevent components from falling off so as to avoid malfunction of components. 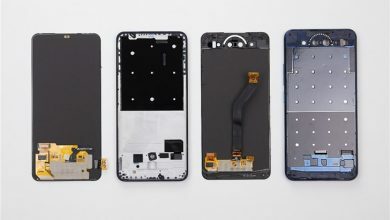 Generally speaking, the OnePlus 5T is a phone with an excellent internal design. 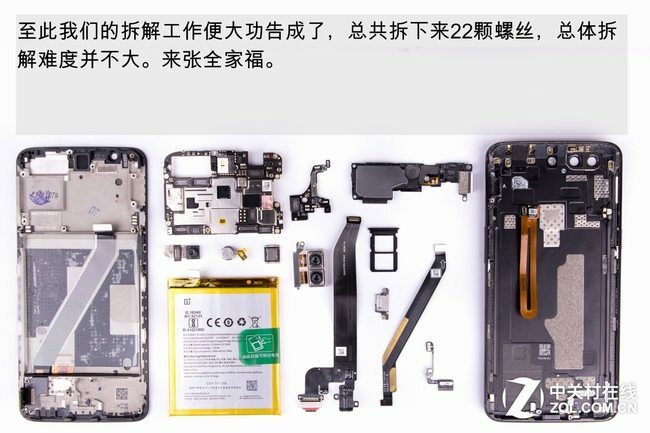 In my opinion, such internal design makes the phone become much competitive in the phone market with regard to its price.